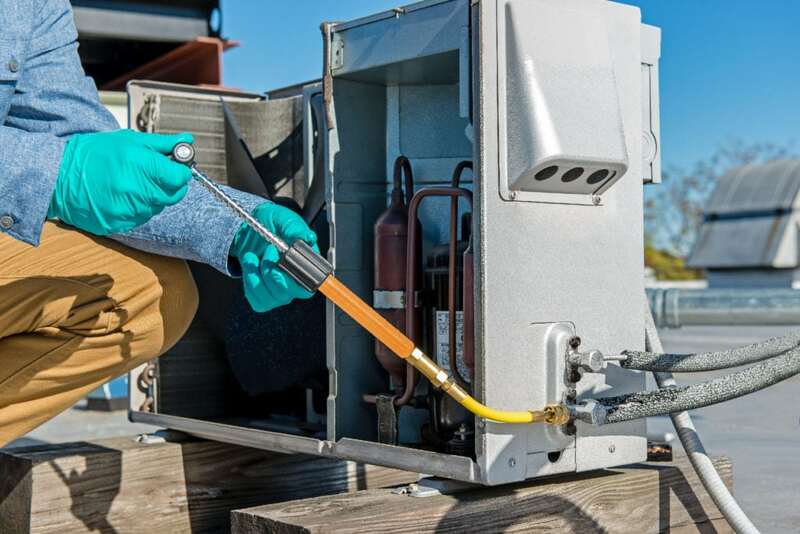 Fluorescent dyes provide the fastest and most accurate leak detection method for AC/R systems. When added to a suspect system, the escaping fluorescent dye exits all leak areas. 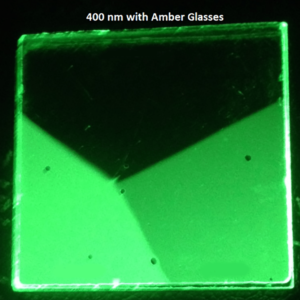 Exposing the system to violet light causes the dye to fluoresce brightly. Very small leaks can be detected at a distance and technicians can be certain of the exact location of all leaks. Other methods of leak detection are slow, time-consuming, and cannot detect multiple leak sites easily. 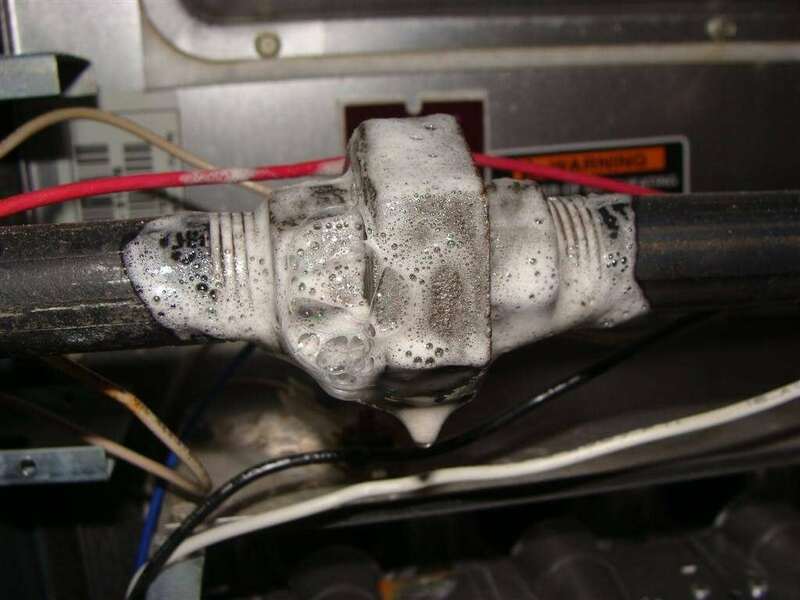 For example, the bubble solution method can only detect refrigerant leaks around sprayed areas. This method is less visible to the naked eye and cannot effectively detect leaks within the entire system. For outdoor units, the bubble solution method can be affected by windy weather and low light conditions – providing inaccurate results and endangering system integrity. Leaks are difficult to find using the bubble solution method. Even the smallest leaks are easy to detect using Spectroline® brand fluorescent leak detection tools. Spectroline® fluorescent dyes have the added benefit of being able to remain safely within the repaired system. During yearly system maintenance, a technician simply must rescan the AC/R system with one of Spectroline®’s high-quality violet flashlights. 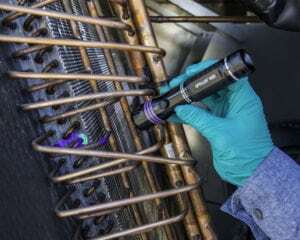 This long-lasting application makes fluorescent dyes the perfect tool for preventative maintenance and annual inspections. Simple and easy connection to the system. Spectroline®’s patented dyes are co-solvent free – meaning they are safer and of a higher quality than other dyes on the market. Co-solvent based dyes can affect the chemical properties of the lubricant in the AC/R system. The solvents in the dye have the potential of deteriorating aluminum metals in the system – affecting system performance and increasing the risk of additional leaks. In addition to being safe, Spectroline® brand dyes are brighter and more concentrated than the leading the competitors’ dyes. That means less fluorescent dye is required and the overall performance of the system is unaffected. Spectroline brand dyes glow brighter than the competition. Today, all manufacturers of AC/R equipment require specifically endorsed tools and products for system maintenance. Using unapproved diagnostic products will void the equipment’s warranty and affect service life. Spectroline® takes great care to acquire and maintain OEM approvals for each product line and for every market that they cater to. 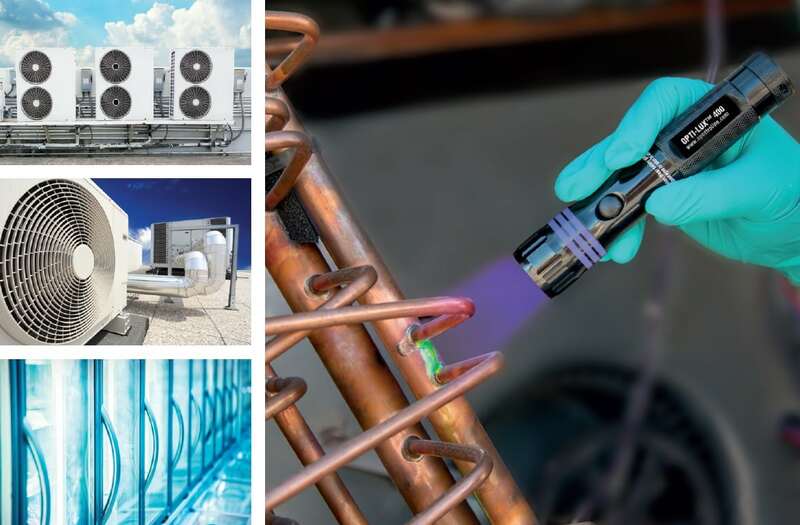 Industry leaders such as Carrier®, Copeland®, and Whirlpool® trust the Spectroline® brand for diagnostics, preventative maintenance, and full-system leak detection.